ONE: Melt one stick of butter in a medium saucepan. Heat on medium until golden brown. 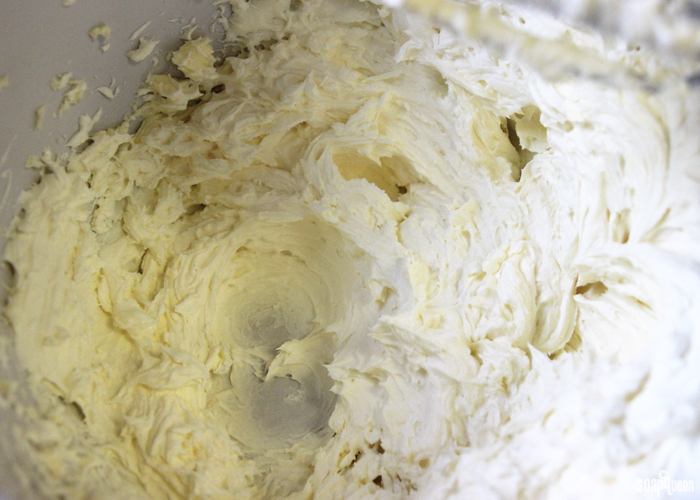 This process is called “browning the butter.” It helps the butter develop a delicious, rich and slightly nutty flavor. The butter solids separate and fall to the bottom of the pan. You need to stir continuously through this. 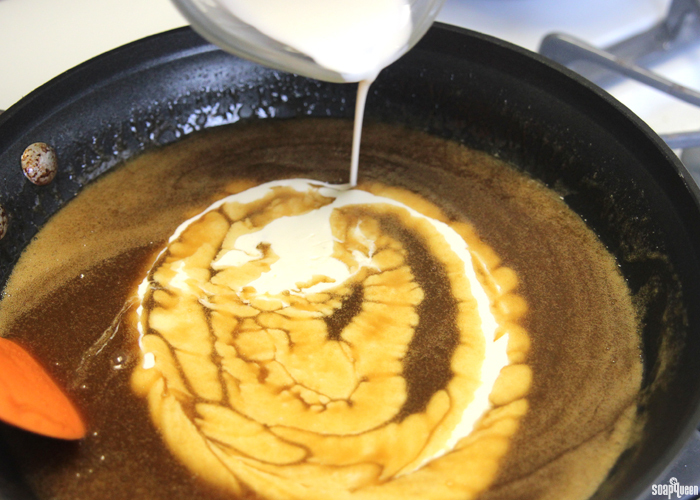 Once the butter is browned, add the brown sugar, cream and salt, stirring until the sugar dissolves. Bring this to a boil, whisking constantly and cook for 3 minutes. Transfer to a mixing bowl to cool and prevent further cooking. TWO: Soften two sticks of butter and cut into very small pieces. Add this butter, a few pieces at a time, and beat on low until the butter is incorporated into the frosting base. Beat this mixture for 2 minutes. In a large bowl, beat the softened cream cheese and confectioner’s sugar on medium to high until fluffy (2 to 3 minutes). Add the brown butter mixture to the cream cheese and beat until smooth. Cover and refrigerate for two hours until fully chilled. 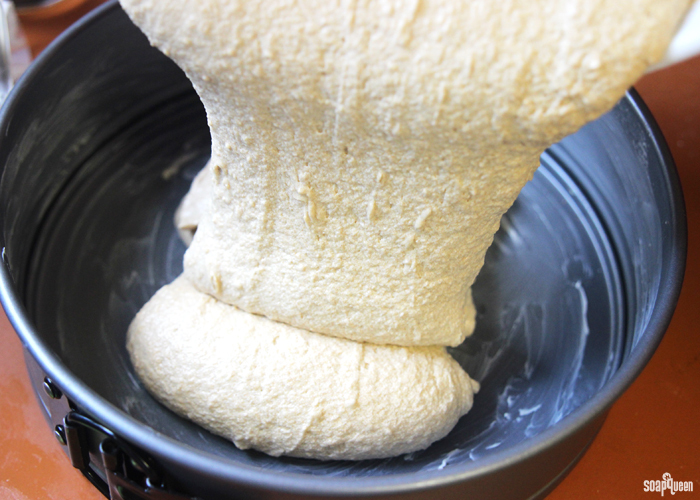 ONE: Preheat the oven to 325 ° F. Whisk together the baking soda, baking powder, flour and salt in a bowl. In a separate bowl, beat the butter and brown sugar on medium speed until pale and fluffy. Add eggs one at a time, mixing after each addition. Add vanilla and rum, and reduce mixing speed to low. Begin to add the dry mixture, alternating with the buttermilk. Beat for about 2 minutes on medium until mixture is completely smooth. TWO: Spray the bake pans with cooking spray. Pour the cake batter into each pan. Tamp the pans on the counter to help get rid of any large bubbles. Allow to bake for 35-45 minutes. To check to see if the center of the cake is done, insert a chopstick into the center of the cake. If it comes out clean, it’s done. Remove the cake from the oven and allow to fully cool for several hours or overnight. ONE: While the cakes cool, time to make the butterscotch syrup! 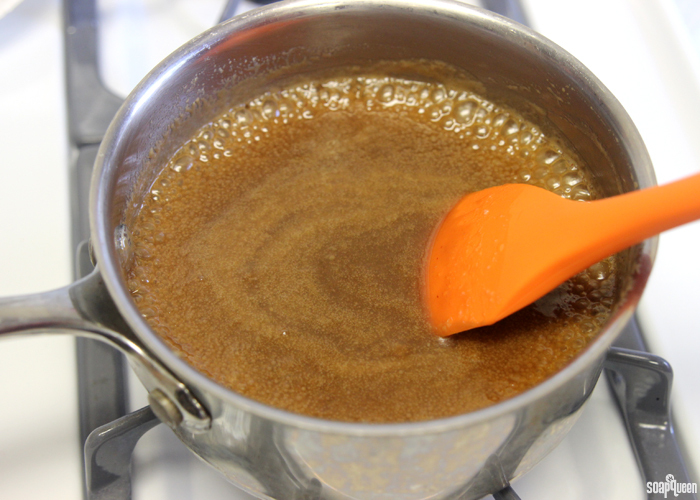 In a saucepan, mix the sugar, butter and corn syrup over medium heat, stirring constantly until sugar dissolves. Bring to a boil while stirring and cook for about two minutes. Remove from heat and whisk in cream. Return to heat and allow to cook for another two minutes. Remove and allow to cool. TWO: Trim the sides of the cake if necessary. Trim the top to create a flat surface. 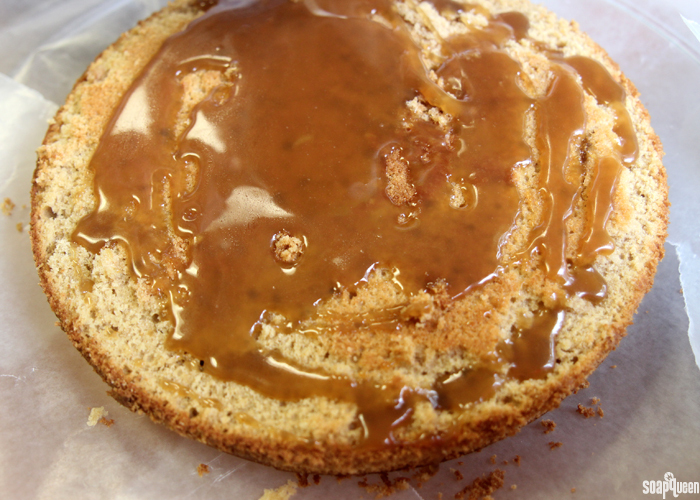 Gently pour about 3/4 of the butterscotch mixture onto the exposed sides of each layer of cake. Allow the syrup to fully soak into the cake. Frost the inside of the bottom layer, and carefully place the top layer on top. Spread the remaining frosting on the top and sides of the cake. ONE: Place the pecans in a saucepan and turn heat to medium. 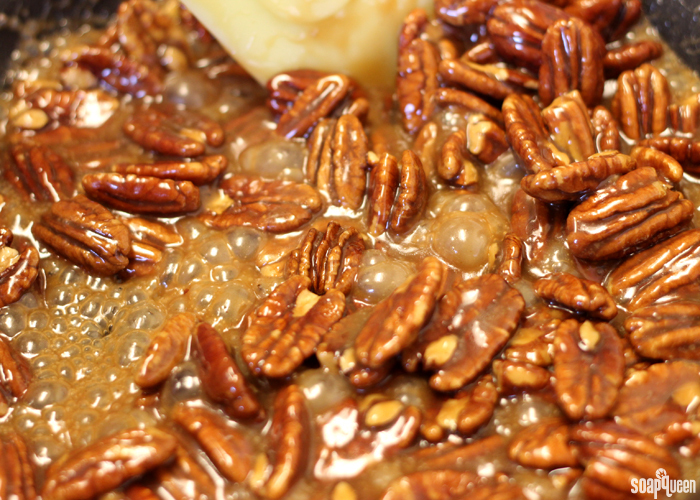 Pour the remaining butterscotch syrup on the pecans. Stirring constantly, heat for approximately 10 minutes until the syrup becomes sticky and thick. Stir to evenly coat the pecans in the mixture. Turn the heat off, and allow to cool slightly, stirring constantly. At this point, the pecans will be very sticky. 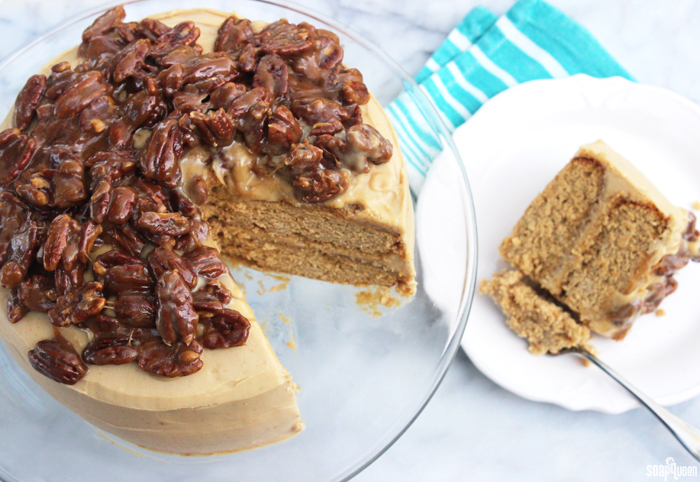 Carefully pour the pecans directly on the top of the cake and allow to fully cool. Enjoy! 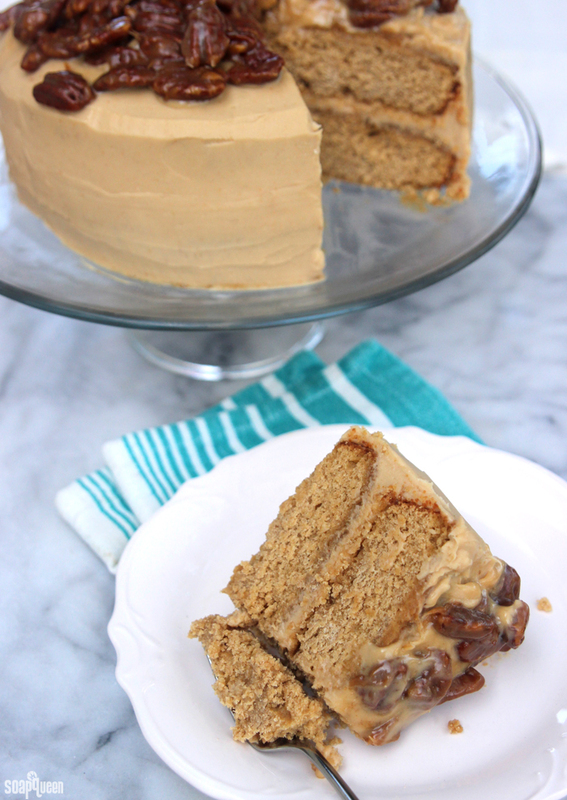 This Butterscotch Pecan Cake is rich, decadent and full of butterscotch flavor. Melt one stick of butter in a medium saucepan. Heat on medium until golden brown. This process is called “browning the butter.” It helps the butter develop a delicious, rich, slightly nutty flavor. The butter solids separate and fall to the bottom of the pan. You need to stir continuously through this. Once the butter is browned, add the brown sugar, cream and salt, stirring until the sugar dissolves. Bring this to a boil, whisking constantly and cook for 3 minutes. Transfer to a mixing bowl to cool and prevent further cooking. Soften two sticks of butter and cut into very small pieces. Add this butter, a few pieces at a time, and beat on low until the butter is incorporated into the frosting base. Beat this mixture for 2 minutes. In a large bowl, beat the softened cream cheese and confectioner’s sugar on medium to high until fluffy (2 to 3 minutes). Add the brown butter mixture to the cream cheese and beat until smooth. Cover and refrigerate for two hours until fully chilled. 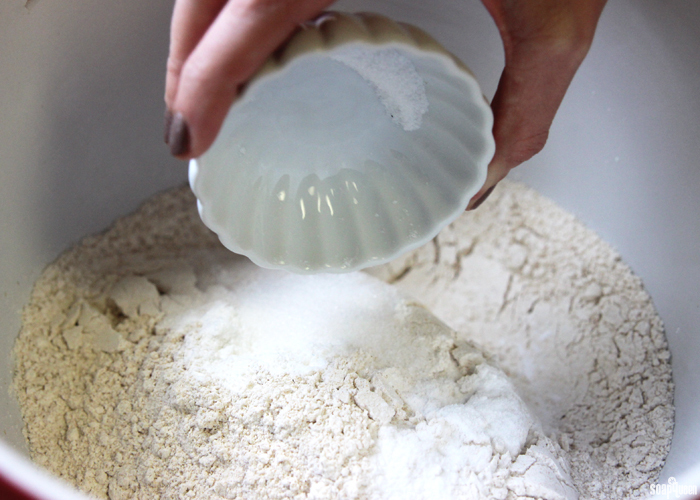 Preheat the oven to 325 ° F. Whisk together the baking soda, baking powder, flour and salt in a bowl. In a separate bowl, beat the butter and brown suagr on medium speed until pake and fluffy. Add eggs one at a time, mixing after each addition. Add vanilla and rum, and reduce mixing speed to low. Begin to add the dry mixture, alternating with the buttermilk. Beat for about 2 minutes on medium until mixture is completely smooth. Spray the bake pans with cooking spray. Pour the cake batter into each pan. Tamp the pans on the counter to help get rid of any large bubbles. Allow to bake for 35-45 minutes. To check to see if the center of the cake is done, insert a chopstick into the center of the cake. If it comes out clean, it’s done. Remove the cake from the oven and allow to fully cool for several hours or overnight. While the cakes cool, time to make the butterscotch syrup! In a saucepan, mix the sugar, butter and corn syrup over medium heat, stirring constantly until sugar dissolves. Bring to a boil while stirring and cook for about two minutes. Remove from heat and whisk in cream. Return to heat and allow to cook for another two minutes. Remove and allow to cool. Trim the sides of the cake if necessary. Trim the top to create a flat surface. 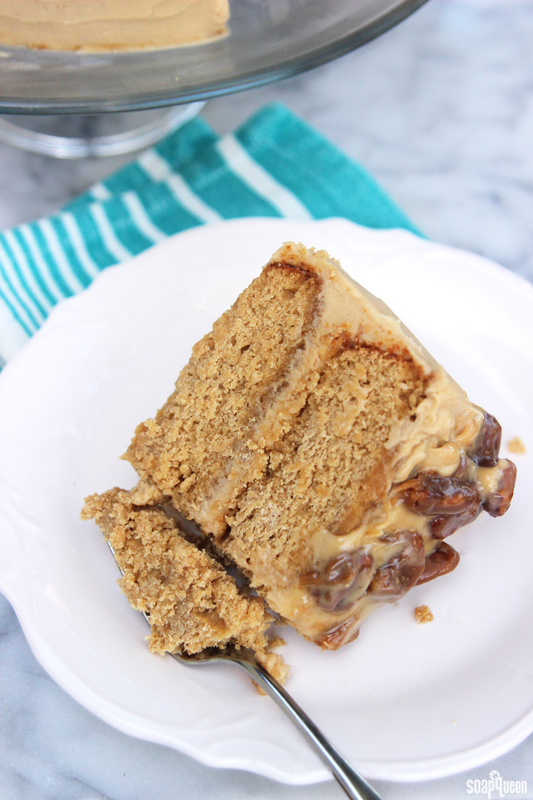 Gently pour about ¾ of the butterscotch mixture onto the exposed sides of each layer of cake. Allow the syrup to fully soak into the cake. Frost the inside of the bottom layer, and carefully place the top layer on top. Spread the remaining frosting on the top and sides of the cake. Place the pecans in a saucepan and turn heat to medium. Pour the remaining butterscotch syrup on the pecans. Stirring constantly, heat for approximately 10 minutes until the syrup becomes sticky and thick. Stir to evenly coat the pecans in the mixture. Turn the heat off, and allow to cool slightly, stirring constantly. At this point, the pecans will be very sticky. 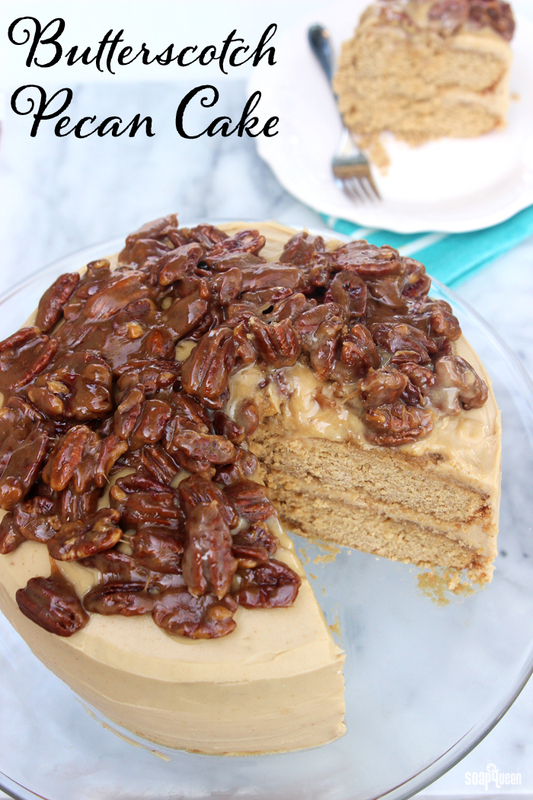 Carefully pour the pecans directly on the top of the cake and allow to fully cool. Enjoy! Hi I was just wandering can you usually find whole wheat organic pastry flour at your local stores like ( shop rite or acme )? What the incredible Soap Queen failed to share regarding this labor of love cake is that tempting as it would be to do so, no rational person would eat too much of this at once. But it keeps forever in the refrigerator. Put a slice in a bowl, pour a little milk over it and zap in the microwave just until the frosting begins to melt just a little. There is no equal to that pleasurable result. This looks pretty good!! I’ll have to give it a try. I usually like to use cake flour vs. all purpose four myself, and I add a tablespoon or two of canola oil to keep it moist. This one sounds and looks awesome! I know you made the cake from scratch. I was wondering what box mix you would use if you were to use one? I have my husband’s Birthday and father’s day also this month! My Brother was the one who loved the Butterscotch cupcakes. They were so good!